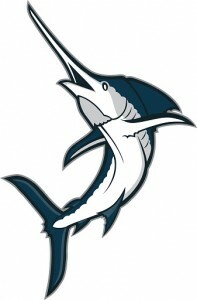 The White Marlin Open is this weekend! The White Marlin Open is a huge offshore fishing tournament that takes place in Ocean City, MD. This tournament began back in 1974 and the annual event has been held ever since. This year the tournament will be held on August 8th through August 12th. The prizes for this year’s biggest catches are totaling up to more than 3 million dollars! It promises to be an awesome event and your friends at Fishing for MD will be there! Ready to learn more about the White Marlin Open? Let’s dive in! It’s a battle of the biggest and bravest anglers. There is also a point system for each type of fish. If the fish is caught and properly boated, then more points are awarded per pound, but points can still be won if the fish is released. Conservation is at the heart of The White Marlin Open. Conservation of billfish has been one of the top priorities of the White Marlin Open. They believe in helping this species of fish to thrive by raising awareness for its population and by releasing the vast majority of the catches made. In last year’s event, about 98% of the fish caught during the tournament were released after the anglers responsible were awarded a combined sum of nearly 4 million dollars. So, come by to this amazing event in August and come drop us a line! Fishing for MD will be in attendance!